Which track is your relationship on? The fear track, or the love track? 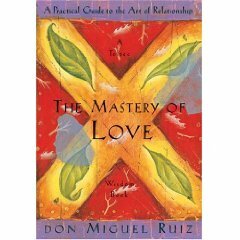 Don Miguel Ruiz in his book talks about how our lives are based on a dream and our dream is made up of emotions. The two main emotions we possess in dreams are fear and love. Most of us live on the track of fear rather than love. Living this way ultimately affects our choices and inhibit the mastery over our marriage. 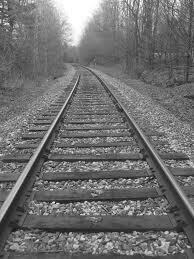 So how do you know if your relationship is based on the track of fear or the track of love. Fear has a lot obligations vs. love with no obligations. We do something for our partner because we have to do it. We expect our partner to do something, but over time we begin to resist our obligations. In love, there is no resistance you do something for your partner because you want to do it. Fear is full of expectations, love has no expectations. We do things because it’s a given, and we expect our partner to do the same. When those expectations don’t happen we feel hurt and we place the blame on our partners. In love, if nothing happens we don’t take it personally. In fear you respect nothing, while in love is based on respect. Fear comes out in a couple of ways in regards to respect. If you don’t respect your partner, you will feel they can’t have a say in the relationship and you will try to control them. When you don’t respect yourself in the relationship, you doubt your own strength; your own intelligence. Love negates this type of behavior. In you are on the track of fear, you are full of pity. You feel sorry for your partner when they aren’t strong enough. When you are on the track of love, you have compassion towards your partner if they fall. You prop them up. On the track of fear you avoid responsibility. When you are on the track of love, you are responsible for your actions. When you try to avoid taking responsibility it only makes things worse because even non-action has consequences. The track of fear is always unkind, while the track of love is kind. When you are living in a fear based relationship, you always feel like a victim, sad, jealous and betrayed. When you are in the track of love it’s always kind. The kindness makes you generous and opens doors to opportunities. Fear is full of conditions, while love is unconditional. If you are on the track of fear, you will love the person if you are allowed to control them and if they fit into the image you create for them. In the track of love there are no conditions You will love your partner for who they are. If you don’t like them for who they are, you will find someone who is the way you like him/her to be. Which track are you running on? The track of fear, or the track of love? Why?